I am in the final push of Advent Calendar Season. Today, November 22nd, is the last day to order an Advent Calendar to have it in your hands and on your mantles before December 1st. 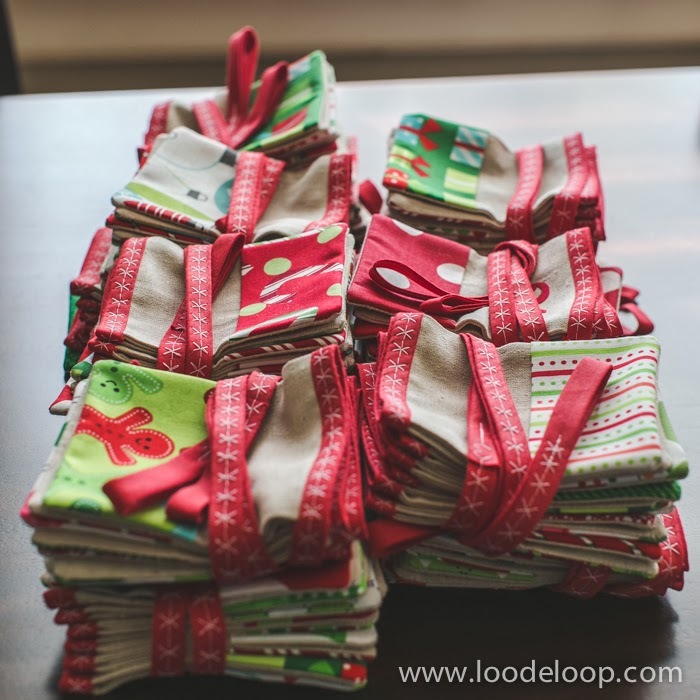 In an attempt to be truly present with my family during the holidays I will be paring down the Loo De Loop Etsy shop and selling only "ready to ship" items. The bad news? No custom orders will be taken until after January 1st. The good news? Anything you will see in the shop is ready to ship the same day that you order it. Meaning you will most likely have the item in hand in time to give for Christmas. Are you giving or getting a fancy DSLR camera this Christmas? Lucky you! Pick out a pretty little camera strap cover to dress it up. 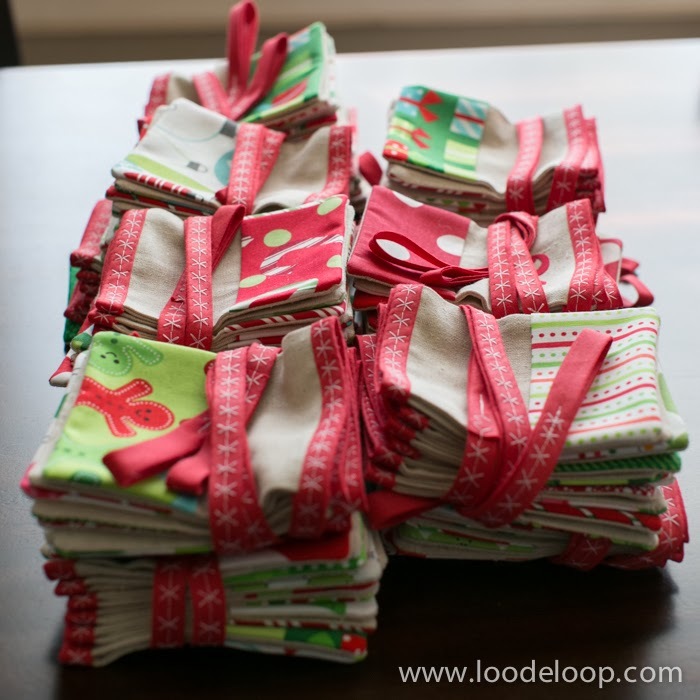 Having a "bunting emergency" over the holidays? Any of these items are ready to go! I will be adding to the shop during December with items I have been meaning to list for ages, so keep an eye out for new goodies.